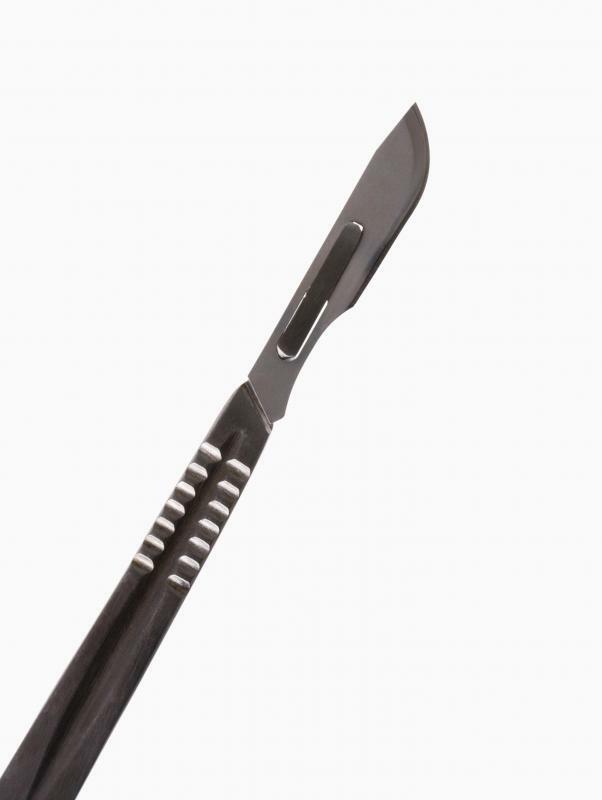 A scalpel is a small, sharp knife that is used for performing surgeries. Gastric bypass surgery has the potential for risks and complications. 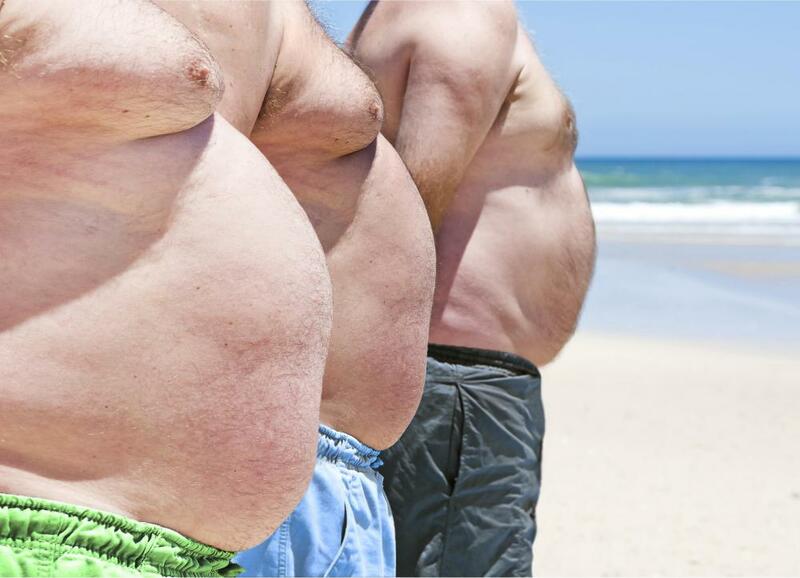 Three candidates for gastric bypass surgery. An illustration of a human stomach. 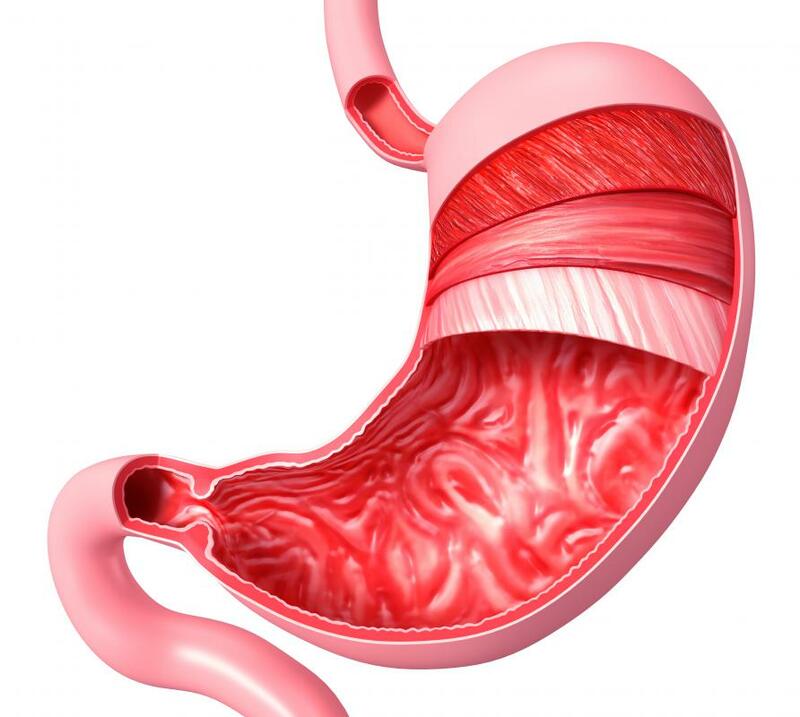 Gastric bypass surgery makes the stomach smaller, so people feel fuller sooner. Gastric bypass surgery (sometimes called stomach stapling) is a medical procedure in which the patient's stomach pouch is drastically reduced in size with medical staples and reattached to the midsection of the intestines. The rest of the stomach pouch is also attached to the upper intestines to aid in digestion. Following gastric bypass surgery, the patient can only consume 1 to 2 ounces of food at one sitting. The result is significant weight loss and a reduced craving for food. Because gastric bypass surgery is considered a risky procedure, most surgeons will only offer the option to morbidly obese patients (those more than 100 pounds overweight) with a Body Mass Index rating of 40 or higher. The Body Mass Index (BMI) is considered to be a better indicator of true obesity, since it takes into account both height and weight. Most gastric bypass surgery candidates have already tried more conventional diet and exercise plans with little success. Psychological factors such as clinical depression are also considered before gastric bypass surgery is offered. The proper name of weight-related medical studies is bariatrics. Gastric bypass surgery is just one of many procedures designed to address morbid obesity. Some procedures are not as permanent or complex as gastric bypass surgery can be. Instead of medical staples, a removable sterile 'lap band' may be placed around an obese patient's stomach pouch to reduce capacity. Other bariatric research has lead to an experimental procedure in which implanted electrodes send out false fullness signals to the brain. As with any other major operations, gastric bypass surgery has its risks and complications. 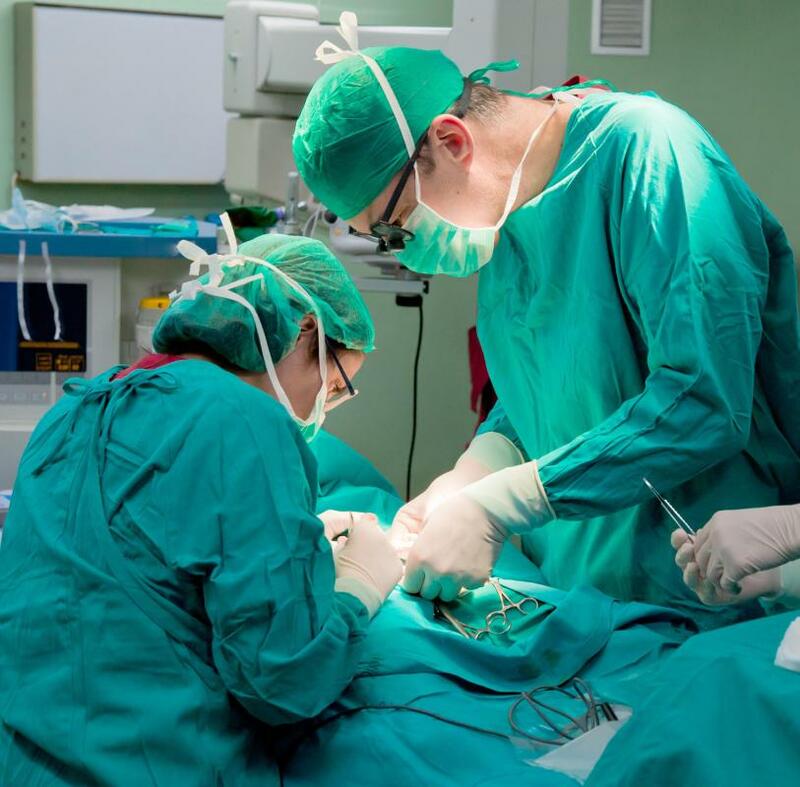 The actual morbidity rate during surgery is only 1 to 2 percent, but 25 percent of all gastric bypass surgery recipients do return for treatment of post-operative complications. Patients must drink plenty of fluids to avoid dehydration. The staples holding the stomach pouch shut may fail, causing an infection of the abdominal cavity. Those who consume more food than the new pouch can hold could experience acid reflux and frequent vomiting. Personal counseling and medical checkups should be part of any post-surgery recovery period. The good news is that gastric bypass surgery does indeed work. Patients have been known to lose more than 100 pounds within a year after the procedure. Some of that weight can be gained back later, but the aggregate loss can help reduce the risks of adult-onset diabetes and other conditions aggravated by obesity. Increased mobility is also a major benefit following gastric bypass surgery. Most importantly, obese patients who identified themselves as socially ostracized before the surgery often feel more accepted by friends and family after the procedure. What Is a Bariatric Ambulance? What Does a Bariatric Nurse Do? What Are the Pros and Cons of Cosmetic Surgery after a Gastric Bypass? What is the Required BMI for Gastric Bypass? What are the Effects of Gastric Bypass Surgery on Diabetes? What are the Most Common Gastric Bypass Complications? What is Gastric Bypass Insurance? There are some additional benefits to weight loss in gastric bypass surgery. Lowering, or completely disappearing after the surgery are: diabetes, high blood pressure, sleep apnea, and lowering of cholesterol. Of course one can not ignore the risks associated with this surgery as is the case with any other medical procedure.